This package contains an assortment of Rose Gold & White Binder Clips. 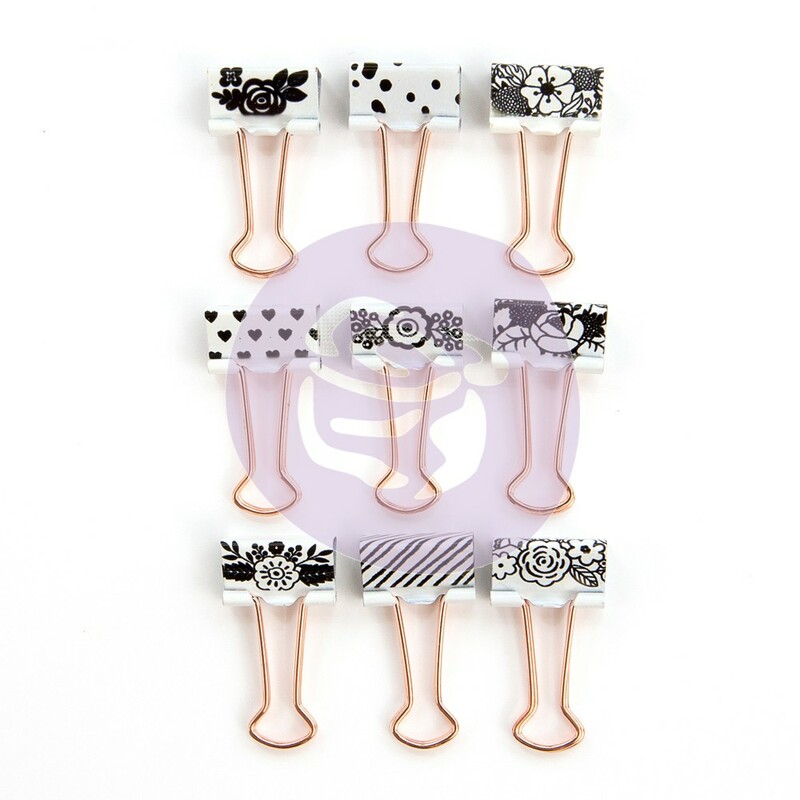 Each Clip is designed with a Variety of Black & White Motifs. These are sure to keep you organized. Part of the Prima Planner Collection by Prima Marketing.